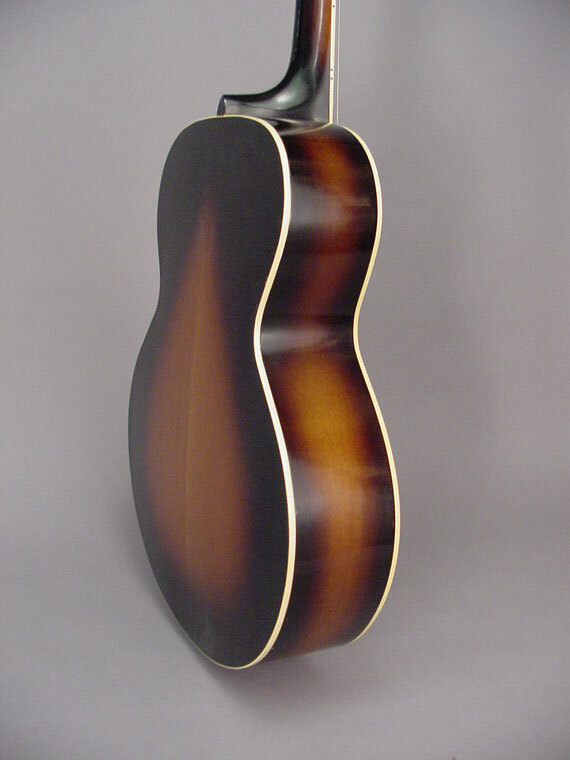 With its "skunk stripe" shaded sides, this is the strangest variant of the famous L-4 jazz guitar. 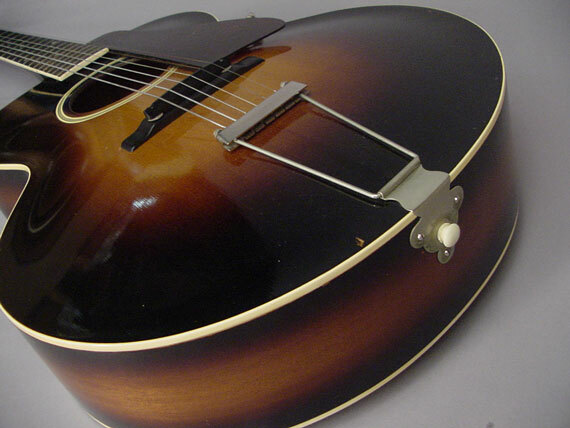 After being supplanted by the superior and famous L-5 f-hole jazz guitar, the L-4 went through a series of evolutionary stages, until finally becoming an upgrade version of the ES-175 rather than a small step down from the L-5. 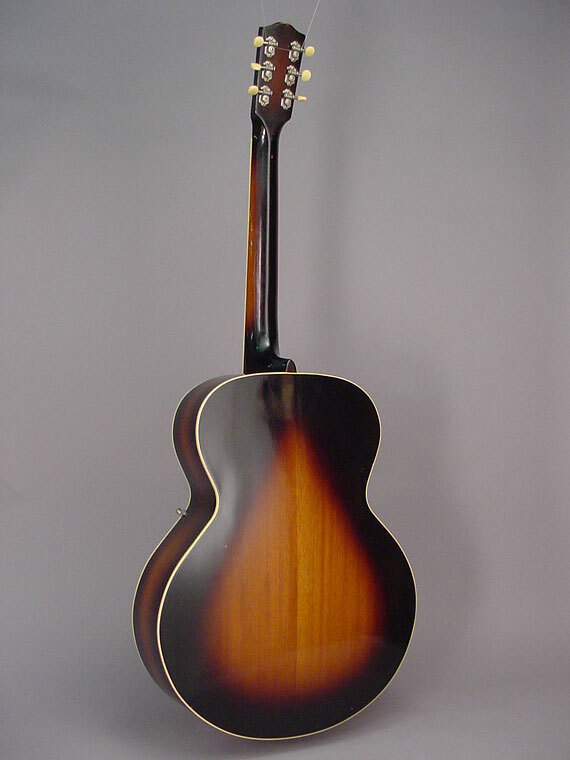 Here, in the mid 1930s, the L-4 was made with a flat mahogany back rather than the usual carved maple back. 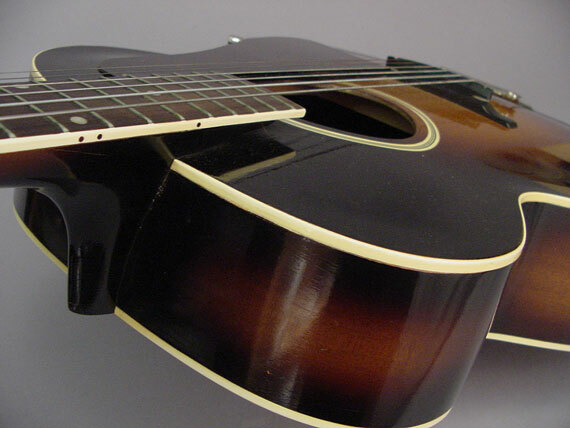 As if to match the new "Jumbo" model, it received that peculiar shading job on the sides. 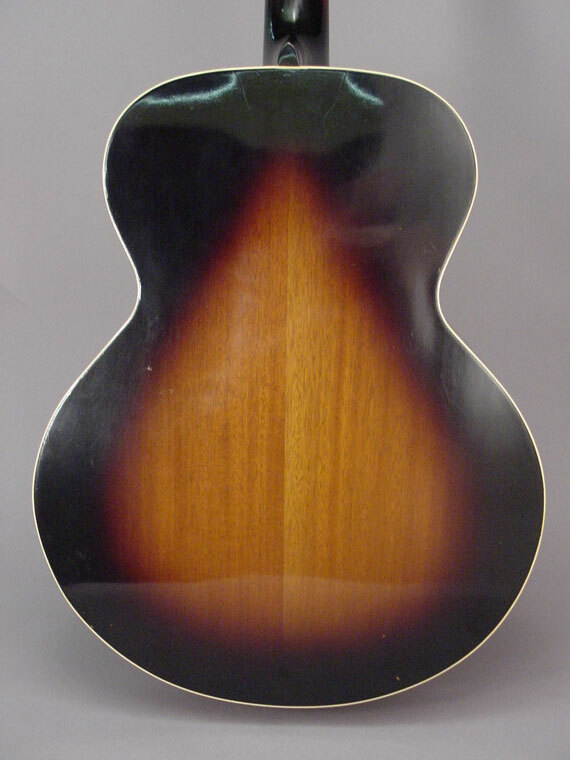 When this guitar was made, Martin had been making oval hole archtop guitars with flat backs. 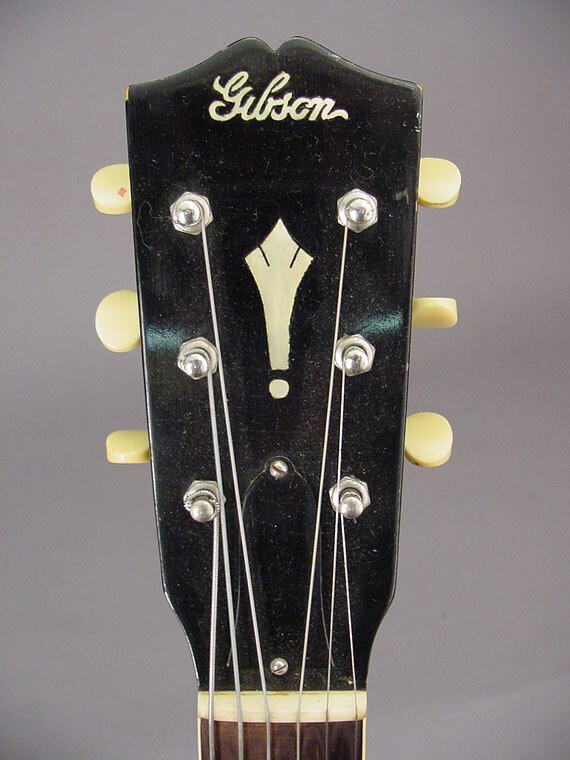 Did Gibson want to test the waters to see what that pond was like? 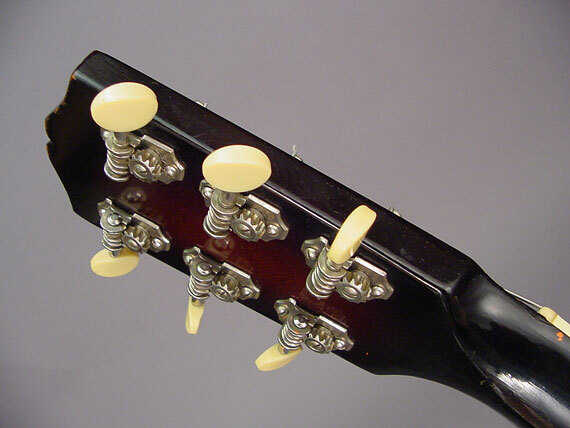 No real need, they already had a lock on the jazz guitar market. 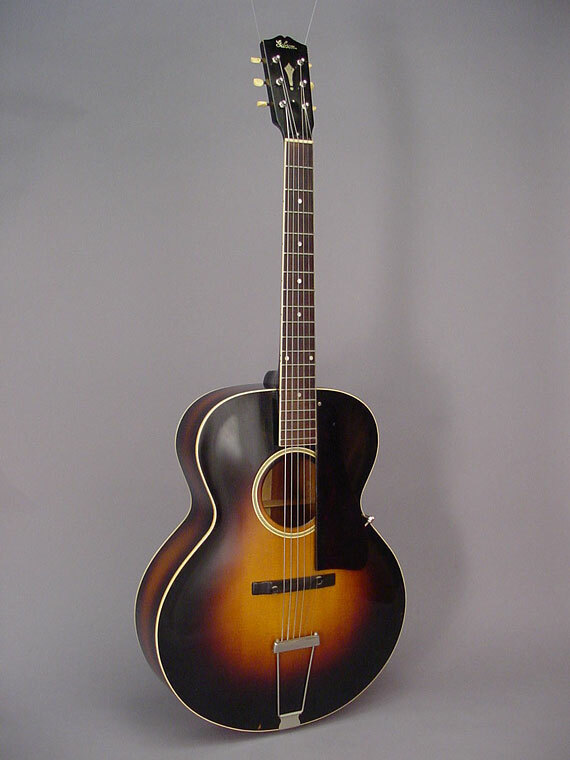 Not long after this instrument was made, the L-4 grew f-holes and reentered the mainstream.